On this curriculum-combined tour, students will explore New York on guided tours of Harlem, Little Italy, Chinatown, Downtown Manhattan and Brooklyn. 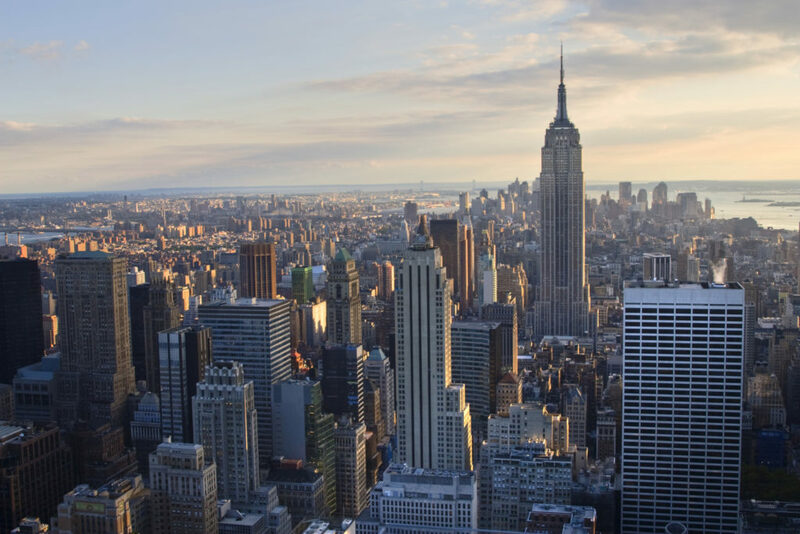 They’ll be immersed in the history of its people and places at various museums as well as take in the many of New York’s iconic sights and sounds with visits to Broadway, Times Square, Central Park and Rockefeller Center. History students can gain a deeper understanding of the fight for freedom and liberty with visits to the United Nations Headquarters, the Tenement Museum and Roosevelt Island. Geography students will discover New York’s urban geography with visits to the NYC Transit Museum, Brooklyn Navy Yard and Museum of Reclaimed Urban Space. On the move Meet at the airport to board your flight to New York! United Nations Head to the United Nations headquarters for a guided tour. This 18-acre site does not belong to just one country, but to all countries that have joined the organization which is currently 193 member states! Memorial Visit the 9/11 Memorial & Museum which honors those who died in the September 11 attacks, while preserving the history of the events. Pay respect to the victims’ names surrounding the Memorial’s reflecting pools. In the Museum, see their photos and learn stories of loss and recovery. Queens Museum Visit the visit the Queens Museum which is dedicated to presenting the highest quality visual arts and educational programming for people in the New York metropolitan area, and particularly for the residents of Queens, a uniquely diverse, ethnic, cultural, and international community. Broadway Tonight, enjoy a Broadway show! Museum of Reclaimed Urban Space Make your way to the Museum of Reclaimed Urban Space, a volunteer-run small history museum of grassroots activism. The museum tells the story of efforts to create community spaces on the Lower East Side, especially those that “reclaim” space that has been taken over by city bureaucracies or corporations. It highlights the political implications of how social structures shape and control our space and take a long-term historical perspective on how the urban landscape evolves through cycles. Evening Activities Enjoy an evening performance of The Nutcracker courtesy of the New York Ballet! Brooklyn Navy Yard Head to the Brooklyn Navy Yard for a 2 hour urban ecology tour. Discover the natural world in the midst a thriving urban industrial park, where you'll explore New York City’s waterways, terrestrial ecosystems and urban farms. Brooklyn Grange Rooftop Farm, A highlight of the urban ecology tour, learn how the farm produces thousands of pounds of vegetables annually – as well as honey and eggs – and are a national leader in the development of rooftop and urban farming techniques. Thank you for your interest in our WorldStrides New York – History & Geography Tour! Please tell us a little more about yourself so we can get you sent to the right place.